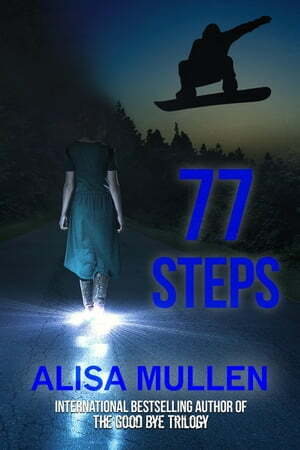 Collins Booksellers - 77 Steps by Alisa Mullen, 9781513065649. Buy this book online. Secrets aren’t meant to be told. They’re meant to disguise, ruin or enhance something that’s the honest to God truth. The only real thing going for Kelinda Milliken is her grant work at the University of Texas in Austin, where she examines specimens day after day with a vaccine for HIV in sight. Kelinda finds herself home in Edgewood, Maine to bury her mother and settle her very wealthy estate. Although Maine is the last place she wants to be, she finds herself trapped in her past while going through her mother’s things to find all the secrets she’d kept from Kelinda for years. Rory McCary, a professional snowboarder, has never forgotten his first true love. Even though he’s set to walk down the aisle to a beautiful, amazing woman, he can’t get the past out of his head. Rory’s hang-ups over the past reaches a boiling point when he realizes his ex-girlfriend, Keely, is back in town and dealing with a life altering hardship. With every attempt to avoid her, he finally gives in to face the only woman who ever walked away from him only to find out that everything that happened was a lie. Secrets aren’t meant to be told but if they are discovered, it can not only ruin but obliterate everything you ever knew about life.